In science, the mantra “correlation does not equate causation” is a cornerstone of proper data analysis and hypothesis formation. Yet, for researchers, this code is not a stopping point, but often a springboard to dive more deeply into the data and discover the mechanisms that led to the curious findings. When the data is supported by a patient population of almost two million, it probably means you’re on to something that’s more than just a statistical artifact. This is most certainly the case for an interesting new finding by an international team of investigators led by scientists at the Van Andel Research Institute (VARI), which suggests that removing the appendix early in life reduces the risk of developing Parkinson’s disease by 19–25%. 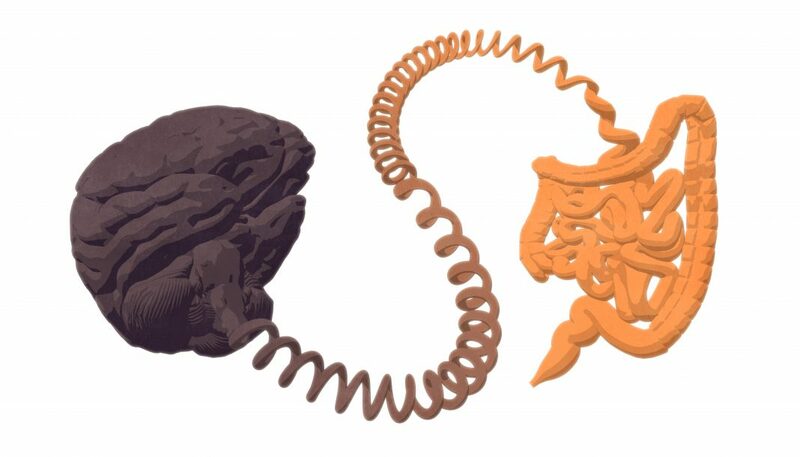 The findings from this comprehensive study were released through an article published in Science Translational Medicine titled “The vermiform appendix impacts the risk of developing Parkinson’s disease.” This data solidifies the role of the gut and immune system in the genesis of the disease and reveals that the appendix acts as a major reservoir for abnormally folded α-synuclein proteins, which are closely linked to Parkinson’s onset and progression. Interestingly, the reduced risk for Parkinson’s was only apparent when the appendix, and the α-synuclein contained within it, were removed early in life, years before the onset of Parkinson’s, suggesting that the appendix may be involved in disease initiation. Removal of the appendix after the disease process starts, however, had no effect on disease progression. The research team also found that appendectomy can delay disease progression in people who go on to develop Parkinson’s, pushing back diagnosis by an average of 3.6 years. Because there are no definitive tests for Parkinson’s, people often are diagnosed after motor symptoms such as tremor or rigidity arise. By then, the disease typically is quite advanced, with significant damage to the area of the brain that regulates voluntary movement. 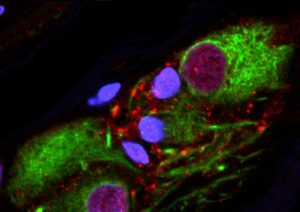 Amazingly, the researchers also found clumps of α-synuclein in the appendixes of healthy people of all ages as well as people with Parkinson’s, raising new questions about the mechanisms that give rise to the disease and propel its progression. Clumped α-synuclein is considered to be a key hallmark of Parkinson’s—previously, it was thought to only be present in people with the disease. Data for the study were gleaned from an in-depth characterization and visualization of α-synuclein forms in the appendix, which bore a remarkable resemblance to those found in the Parkinson’s disease brain, as well as analyses of two large health-record databases. The first dataset was garnered from the Swedish National Patient Registry, a one-of-a-kind database that contains de-identified medical diagnoses and surgical histories for the Swedish population beginning in 1964, and Statistics Sweden. The team at VARI collaborated with researchers at Lund University, Sweden, to comb through records for 1,698,000 people followed up to 52 years, a total of nearly 92 million person-years. The second dataset was from the Parkinson’s Progression Marker Initiative, which includes details about patient diagnosis, age of onset, demographics, and genetic information.